In addition to all of those thoughts about safety and the "what ifs," I had questions about how she would do. Would she be scared? Would she be loud and would we get the side-eye from fellow passengers? Would we make it through security smoothly? Would she be bored? It turns out she wasn't the least bit scared and was honestly unimpressed by the whole thing. The airport employees helped us at every turn and she got badge stickers from security (who also complemented her Paw Patrol carry on). She couldn't really see out the plane window, so she wasn't scared of the height. There were a few things we did and brought that I think made it all go a bit more smoothly, so I thought I'd share in case any of you have trips with little ones planned soon. For reference, C is almost 4 years old and no longer naps. 1. Start talking about it in advance. I think one of the things that helped warm C up to the idea of an airplane and flying is that we began talking about it, referring to it as our "adventure," early on. We'd point out airplanes in the sky when we saw them and would talk about how we'd get to go on one soon, too. We'd bring it up pretty often, so by the time the actual day arrived, C was used to the idea. 2. Let them have their own carry on. This is helpful for two reasons. One is that the child gets to feel special (and like a grown up) with their very own carry on, and two is that you get to fill that carry on with extra stuff you might need along the way. We flew on a fairly small plane so my carry on actually got tagged to be checked as we boarded the plane -- I quickly took a few things out and shoved them into C's backpack. I was so glad we had it along! This is the biggest "duh," but maybe the most important tip. Snacks never fail. Bring several. Bring a variety. Bring old favorites, bring new snacks. I brought: an apple, a banana, a baggie of goldfish, a baggie of raisins & almonds, a baggie of teddy grahams, and lollipops (C is obsessed with this kind). I kid you not when I say we were through 90% of the snacks by the time we boarded the plane. I stored them all in a soft lunch bag (then stored inside C's backpack) so I'd easily be able to find them all in one place. 4. Don't underestimate the power of technology. If you have an iPad or other small electronic device, bring it -- and don't forget to download shows and movies in advance since many planes don't have wifi (or it's painfully slow!). I bought these Frozen headphones at Target the day before we left, and I'm so glad I did. Planes can be really loud and most young kids are sensitive to loud noises, especially in unfamiliar environments. I think the headphones helped tremendously in making C comfortable and happy... and the rest of the plane didn't have to listen to Mickey Mouse Clubhouse. 5. Bring a few new activities. 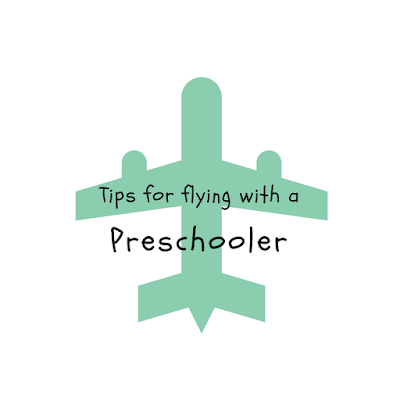 If your kiddo is extra afraid as the plane takes off or just bored waiting on the runway, a fellow passenger told me that her pilot husband used to tell their son that he could make the plane take off by pushing the button on his armrest. He'd have him pretend he was the pilot and once the plane was ready to take off, he'd tell him to push the button -- she said it took years for the kid to realize he wasn't the one making the plane move! I thought that was a cute little trick. Do you have any family trips coming up? 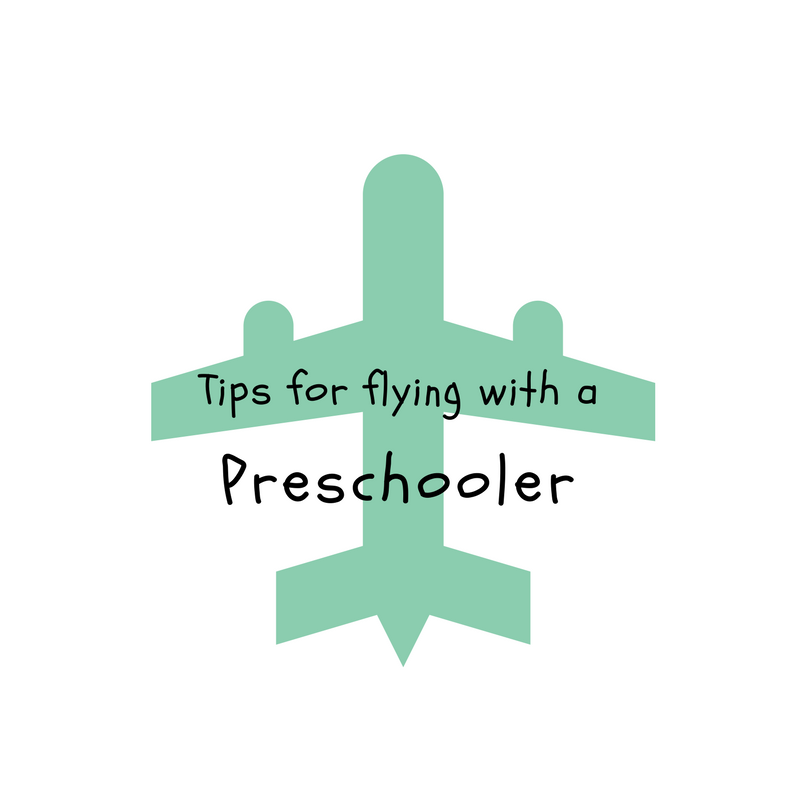 Any other tips for flying with kids? I'd love to hear! What a great tip by pressing the button on the chair. I will use that next time we fly. I thought that was so cute, too!